Nick Prize fest live 2019: If you love Trivia and also a fan of Henry Danger ? Then this is a great news for you, Participate in the Nick Trivia Prize Fest Live Sweepstakes every week by answering 5 tricky trivia questions on nickprizefest.com for your chance to win big prizes from Nickelodeon. What Is Nick Trivia Prize Fest Live Sweepstakes? 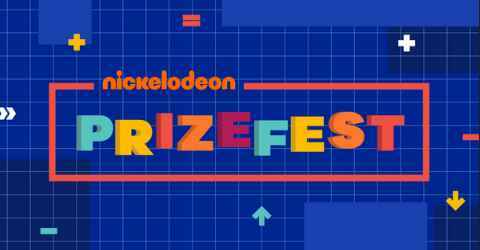 During the Nick Prize Fest Live Sweepstakes, Nick will be asked 5 tricky questions about different topics and participants have to answer these questions correctly at www.nickprizefest.com in order to win epic prizes including trip to Nickelodeon Kids’ Choice sports 2018 and tickets to Slimefest, Video Messages from your favorite Nick Star, Drones and other cool prizes. In order to participate in the Nick Trivia Prize Fest Live Sweepstakes, Participants must Watch Henry Danger episodes “Nickelodeon Trivia Prizefest Live” between the hours of 5:00 p.m. ET/PT and 6:00 p.m. ET/PT. And during the show Nickelodeon on-air talent will pose trivia questions, Once you know the Trivia Questions now go to the sweepstakes page at Nickprizefest.com and answer the 5 simple questions for your chance to win amazing prizes from Nickelodeon. The Nickelodeon Prizefest Live Sweepstakes is open only to legal residents of the forty-eight (48) contiguous United States and the District of Columbia who are between the aged of 6 and 17 years age old at the time they enter the nickelodeon sweepstakes 2018. The Nick Trivia Prize Fest Live Sweepstakes begins at 9:00 a.m. Eastern Time (“ET”) on November 24, 2018 until 5:00 p.m. ET on December, 2018. Sweepstakes #1: Sweepstakes Period Start Time/Date is 8:00:00 p.m. ET/PT, November 24, 2018. End Time/Date is 8:07:05 p.m. ET/PT, November 24, 2018. Sweepstakes #2: Sweepstakes Period Start Time/Date is 8:07:05 p.m. ET/PT, November 24, 2018. End Time/Date is 8:21:52 p.m. ET/PT, November 24, 2018. Sweepstakes #3: Sweepstakes Period Start Time/Date is 8:21:52 p.m. ET/PT, November 24, 2018. End Time/Date is 8:35:26 p.m. ET/PT, November 24, 2018. Sweepstakes #4: Sweepstakes Period Start Time/Date is 8:35:26 p.m. ET/PT, November 24, 2018. End Time/Date is 8:47:29 p.m. ET/PT, November 24, 2018. Limit one (1) entry per Individual Sweepstakes per person/household/email address. In the Nickelodeon Sweepstakes there are one prize will be awarded in each of the four (4) Individual Sweepstakes (for a total of four  Prizes to be awarded in the entire Sweepstakes) as set forth in the chart below. Total approximate retail value (“ARV”) for all Prizes in the Sweepstakes is $4,132.00. Sweepstakes #1 Prize: A custom video message from “Henry Danger”’ star, Cooper Barnes. Total ARV is $0.00 (promotional). Sweepstakes Prize #2: A pair of Nickelodeon wireless headphones. Total ARV is $41.00. Sweepstakes Prize #3: A Nickelodeon Collectibles bag which includes one (1) of each of the following: a Nick drawstring bag, a Nick S’well water bottle, a Nick cell phone charger holder, a Nick selfie clicker, a Nick USB bracelet, a Nick pin, and a Nick Popsocket. Total ARV is $41.00. Sweepstakes Prize #4: A trip package (the “Trip Package”) for Winner and up to three (3) guests (each, a “Guest”) to Los Angeles, CA. Winner and any Guest who is considered a minor in their state of residence must be accompanied by their parent or legal guardian. Trip Package shall consist of the following: (i) Nickelodeon Trivia Prizefest Live: roundtrip coach airfare for Winner and up to three (3) Guests from the airport nearest the Winner’s residence (as determined by Sponsor) to Los Angeles, CA. Winner and Guests are solely responsible for arranging for ground transportation to/from their residence(s) and airport; (ii) three (3) days/two (2) nights standard hotel accommodations of Sponsor’s choice (one  room, quad occupancy, room and tax only); (iii) round-trip ground transportation to/from airport and hotel, to/from hotel and the Set (as defined below); (iv) $500.00 in spending money in the form of a Visa gift card (subject to the terms and restrictions of the card issuer); and, (v) a visit for Winner and Guests to the set of a Nickelodeon live action television series (as solely determined by Sponsor and subject to Nickelodeon’s production schedules) (the “Set”). Total ARV is $4,050.00. ARV of Trip Package may different contingent upon purpose of flight, travel dates and admission/rate variances. Trip Package is liable to specific limitations and correct travel times and game plans are liable to limit controls, accessibility, power outage dates and certain different confinements, which are all subject to change. Any individual that takes an interest in the Trip Package that isn’t regarded a Guest must pay his/her own costs. The distinction between the ARV and the real estimation of the Trip Package won’t be granted. How do you get into trivia prize fest live?